Growing up we didn’t eat a ton of beans, usually just in chili and of course baked beans at every barbecue. 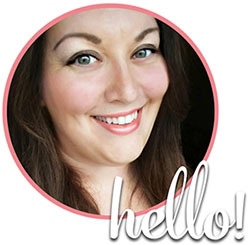 Admittedly, I was kind of a bean novice when I got married and if I’m honest I probably STILL don’t use them as much as I should, but that is about to change because I started looking into different ways to use beans in recipes and WOW you guys, there are a shocking number of ways to use beans…things I never would have thought of like sweets! I made a list of some of my favorite ways to save money using beans, as well as add healthy and delicious recipes to your meal plan. Ok this might seem obvious, but hear me out. Growing up my mom always added kidney beans to chili and I HATED them as a kid. Now I find that I don’t mind them as much. I’ll be honest though, I didn’t know there were other kinds of beans you could use in chili! I had kind of a “duh” moment at the grocery store when I saw all different kinds of chili beans including white, navy and pinto beans. 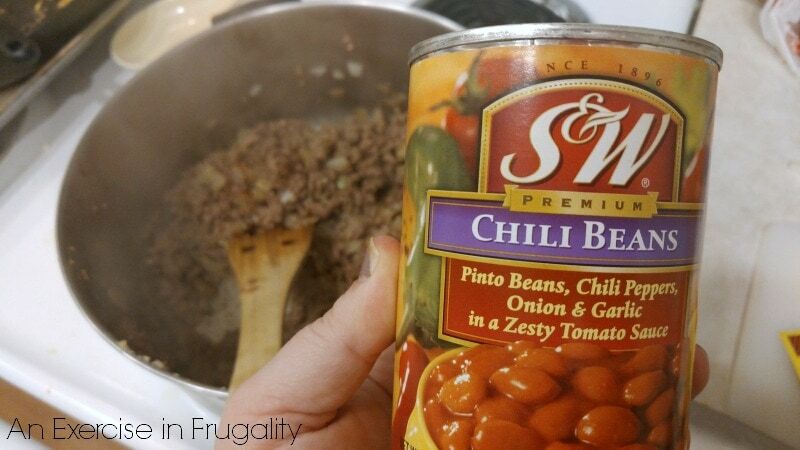 You can even find canned beans that have added seasoning for a little flavor boost to your favorite chili recipe. Speaking of favorite chili recipes, this Boilermaker Chili Recipe is one of our all time favorites. Please don’t think that I have lost my mind, but you can in fact use beans in your morning smoothie! They are a good source of vegan protein, they add a creamy, thick texture and are virtually undetectable when used with other flavors. Just think about getting your kids to drink a thick, creamy chocolate that’s actually good for them. And they don’t need to know it’s got beans in it! Believe it or not, you can add beans to a lot of your favorite treats! Bean cookies, bean brownies and bean blondies are all popping up all over Pinterest. They add protein, but they also replace some of the fats which of course makes them a little healthier AND saves money. 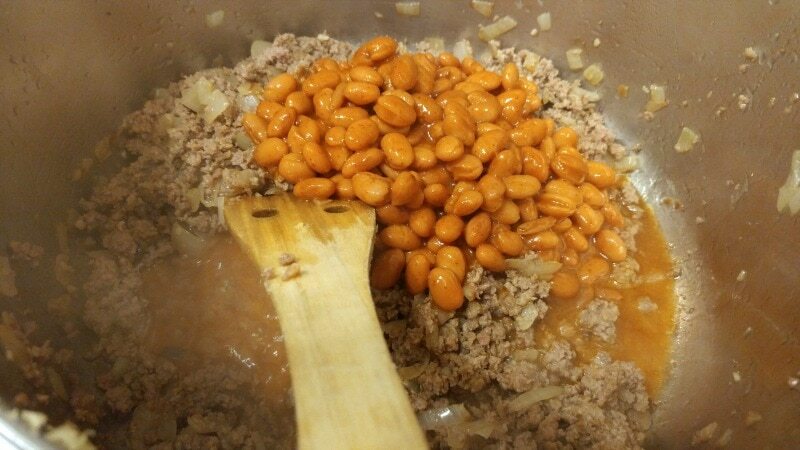 Beans added to a soup base add filling protein, and can really help make soups heartier. My Nana use to make a ham and bean soup every Easter using the leftover hambone. Talk about a yummy and frugal meal idea! There’s tons of different bean or lentil soups out there, pick one and chow down! Chickpeas or garbanzo beans can be roasted and seasoned any way you like. They make a fantastic snack and they are a delicious crunch when you’re looking for something healthier than a chip! I have seen them made sweet and I have personally made them savory (use whatever seasonings you like) and they come out scrumptious every time. There are lots of awesome bean-based salsas and dips out there. Do a little experimenting to find one that makes your mouth happy. Making your own is cheaper (and healthier) than the jarred stuff with preservatives and other junk! You can make your tacos, burritos and more totally meatless by using beans, or you can substitute some of the meat to help keep costs low. Either way, the dish will be muy delicioso. By using beans alone or in conjunction with rice you can make any number of your favorite dishes meatless to help save money. Craving burgers but ground beef is not on sale this week? Have a black bean veggie burger instead! Craving hummus but can’t stomach the price? Make your own with garbanzo beans! Now that you have some ideas for how beans can save you money, let’s talk about the best beans to use in your recipes. Personally, our favorite is S&W Beans. They are pretty much bean experts, with a huge variety spanning everything from black beans to garbanzo beans, seasoned, organic and more. 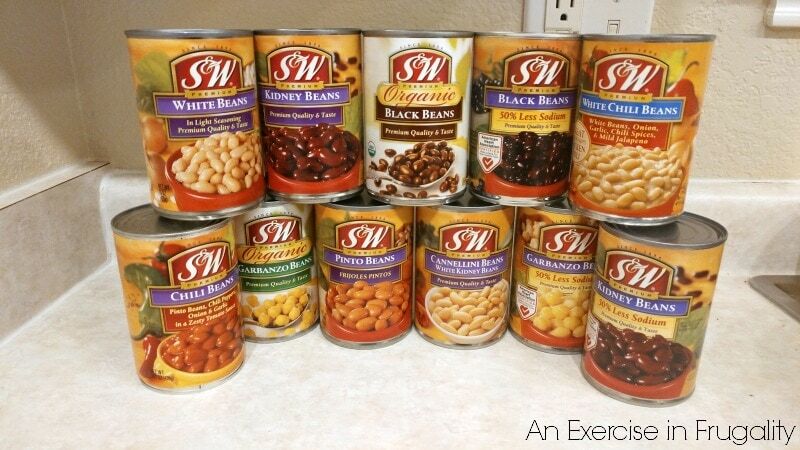 I find that canned beans are WAY more convenient than dry, and S&W are a great value. Speaking of value, there’s a great coupon available now through April for $1 off 2 cans of S&W Beans. Stack this with a sale and you’ve got yourself even MORE savings. Print your S&W Bean coupon here! I need to try to save money using beans more often. Thankfully with this coupon, I can stock up my pantry and keep a variety on hand at all times. 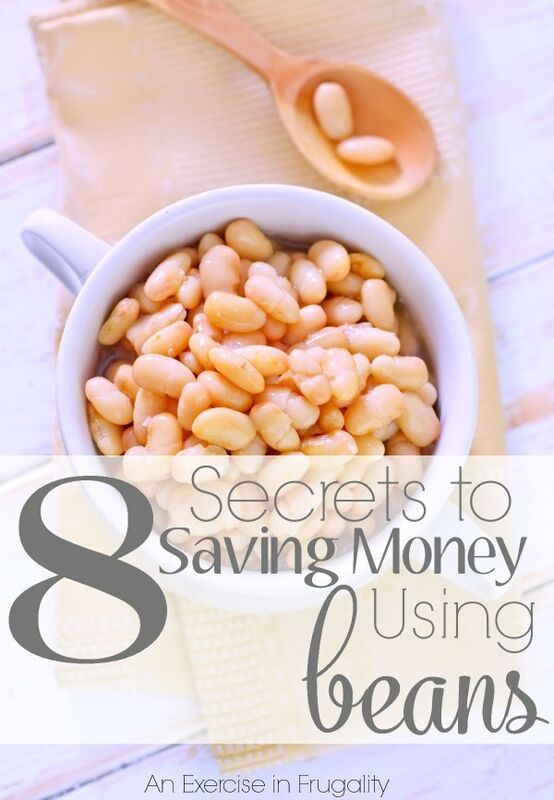 What’s your favorite way to save money using beans?